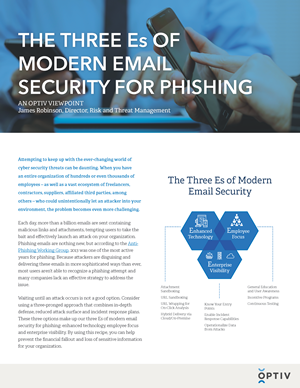 Each day, more than a billion emails are sent containing malicious links and attachments, tempting users to take the bait and effectively launch an attack on your organization. Consider using a three-pronged approach that combines in-depth defense, reduced attack surface and incident response plans. Read this paper to find out how you can help prevent financial fallout and loss of sensitive information for your organization.